I love the idea of juice, but usually they are too sweet for me. But water day in and day out can get boring. 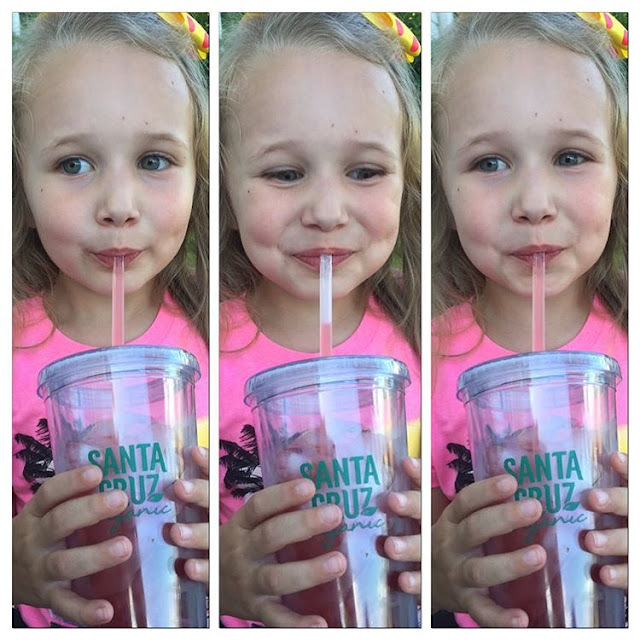 So I was very interested when I received the opportunity to try out some Santa Cruz Organic Aqua Fresca. Inspired by traditional aqua fresca, Santa Cruz Organic Aqua Fresca is made with core ingredients such as USDA organic fruit juice, sugar, and a hint of lemon juice. These refreshing and lightly sweetened beverages are Non-GMO Project Verified, Gluten-Free, and available in three varieties: Pomegranate, Mango Passionfruit, and Grapefruit. My personal favorite was the Pomegranate. My husband even loved this and he actually STOLE the rest of mine! So glad I got a free product coupon so I can grab some more! Although a 32 oz. bottle is only priced around $3.20 to $3.49 and frequently on sale, so I will most likely be grabbing more than one. Tee hee. This juice is not too sweet, completely refreshing, and keeps you coming back for more. As a pioneer organic brand, Santa Cruz Organic was the first to have a wide range of organic, 100 percent juices and blends. They were also the first juice processor to use all organic fruit sourced from growers certified by an independent, third-party certification organization. With a history of developing innovative products, Santa Cruz Organic currently offers more than 50 organic items ranging from organic fruit juices and sparkling beverages to organic fruit sauces, chocolate syrups, peanut butters, and fruit spreads. 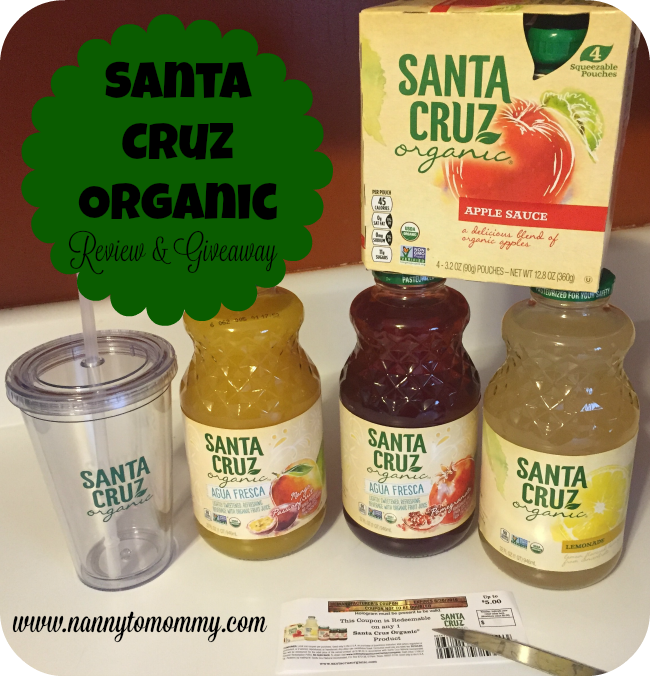 One lucky Nanny to Mommy reader will win TWO bottles of Santa Cruz Aqua Fresca! Entry is simple, just follow the prompts on the Rafflecopter below. Open to US only, must be 18+ to enter. Make sure to follow us on Facebook so you can stay up to date with our current giveaways. 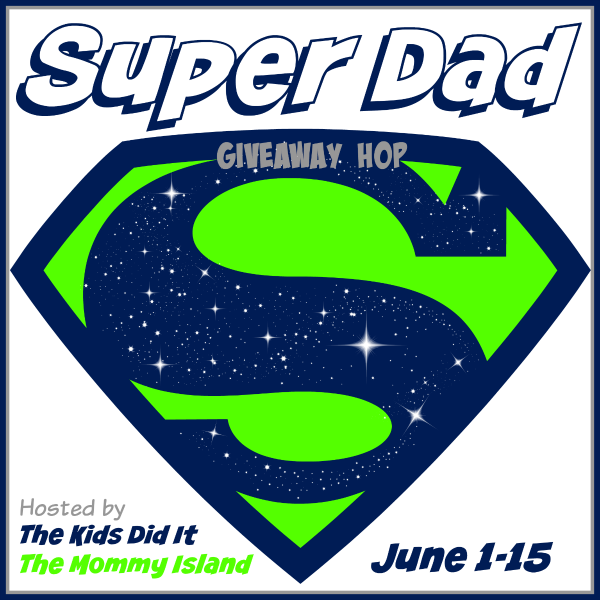 Welcome to "Super Dad" Giveaway Hop! This event runs June 1 to June 15, 2016! I received the products for free from the sponsor of the Moms Meet program, May Media Group LLC, who received it directly from the manufacturer. As a Moms Meet blogger, I agree to use this product and post my opinion on my blog. My opinions do not necessarily reflect the opinions of May Media Group LLC or the manufacturer of this product. Facebook, Twitter, Pinterest and any other social media are not affiliated with this giveaway. Nanny to Mommy received complimentary products to provide this review and giveaway. Nanny to Mommy is not responsible for sponsors who do not fulfill prize obligations. This giveaway is open to US only, must be 18+ to enter. Cannot be shipped to P.O. boxes. One entry per household/IP address. No social media was involved in this giveaway in any way. Winner is chosen via Random.org through Rafflecopter. ALL winning entries ARE verified. Winner will have 48 hours to respond with all information in email or another winner will be chosen. If you would like to see your product featured on our blog or sponsor a giveaway event, please contact us. I would like to try the applesauce. I would love to try the carbonated lemonade! I would really like to try Santa Cruz's apple sauce and chocolate syrup! They sound awesome! The Peanut Butter powder would be great for my daughter, and the Mint Chocolate syrup sounds good. I would love to try their carbonated lemonade!! The green tea one sounds amazing!! I would love to try the Cinnamon Apple Sauce Cups! 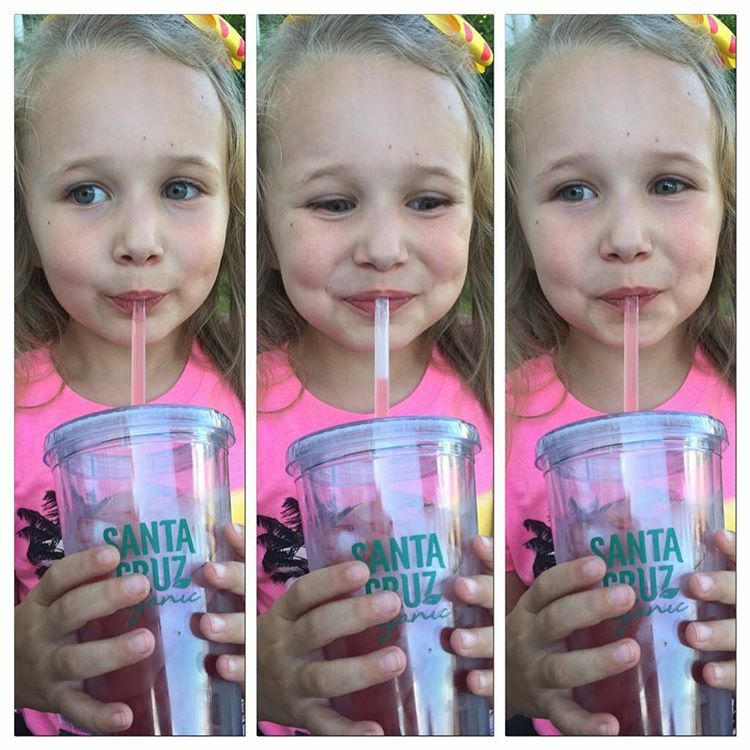 I would like to try the Santa Cruz Limeade juice. I think that I would most like to try the Seedless Red Raspberry Fruit Spread. I would love to try the pomegranate. We are lovers of pomegranate anything here! The Hibiscus Cooler sounds delicious! I'd like to try the grapefruit flavor. I would love to try the Organic Lemonade! That would be perfect for sippin during the Summer months! I want to try the Agua Fresca Mango Passionfruit! I have not seen the Agua Fresca juices yet and they all look good. I want to try the light roasted crunchy peanut butter! I love lemonades so I would want to try any of the lemonades, especially the strawberry one. The organic lemonade sounds amazing love to try them. I would like to try the Mint Chocolate Syrup. I'd like to try their dark roasted crunchy peanut butter. I would like to try the Peanut Powder with Chia for protein shakes. I'd like to try Cranberry Nectar. I would like to try the Agua Fresca in Grapefruit. Hi, I have sent you an email but did not get a reply. Just letting you know I did not receive these 2 coupons yet that I had won. I'm sorry I can't find where you sent your email. You should have received two bottles, not coupons. I can ask the sponsor again about when this will be shipped.